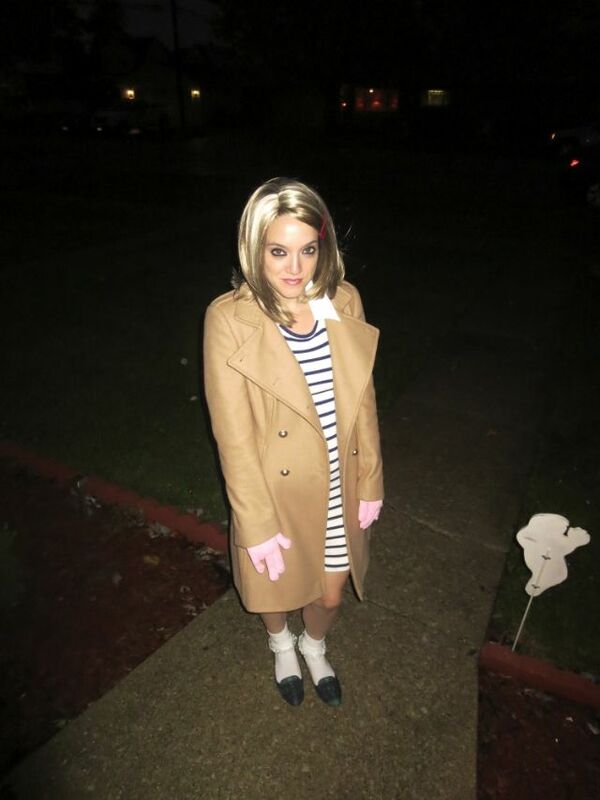 Last year for Halloween I wanted to be Margot from the Royal Tenenbaums. The only problem, I had no items that could make up the costume and I did not want to buy a bunch of new stuff. I decided to get creative and DIY a bit to keep the cost down. The outfit was not the exact same, but it was close enough and everyone knew what I was going for. 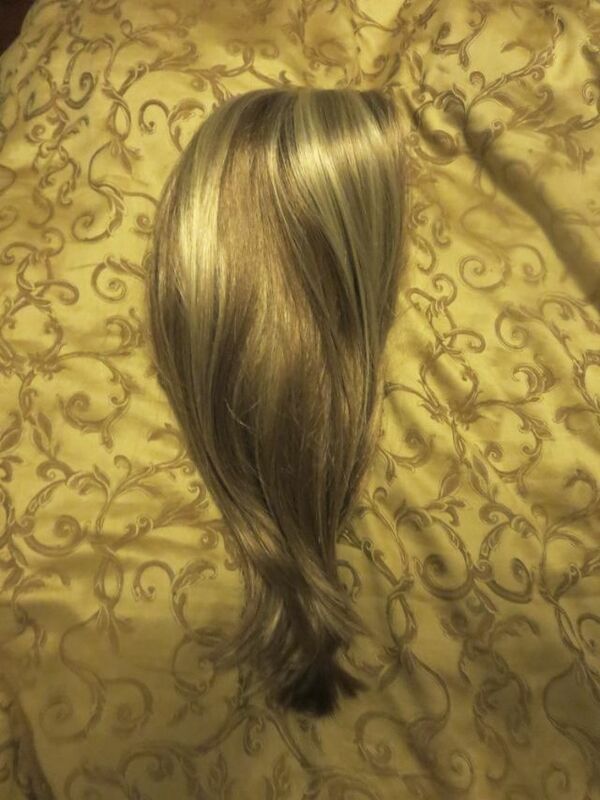 OK, so for starters I decided I would need to buy a wig. I found a great one on Amazon that was under $30 and just cut it myself into a bob. 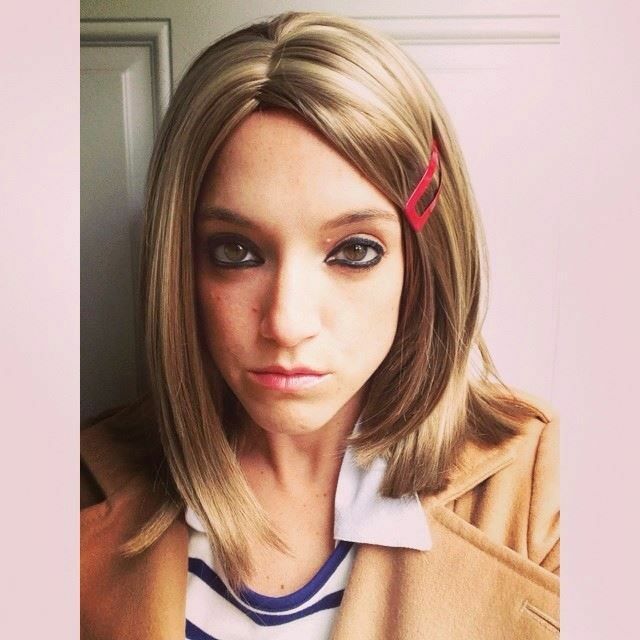 Super easy and I felt like I was saving money by getting the cheaper wig and just cutting it myself. Next I needed the signature red barrette. I searched high and low but they all seems too expensive, the wrong size, or came in packs of 5, and I only needed one. I decided to use an existing barrette and just paint it with red nail polish. 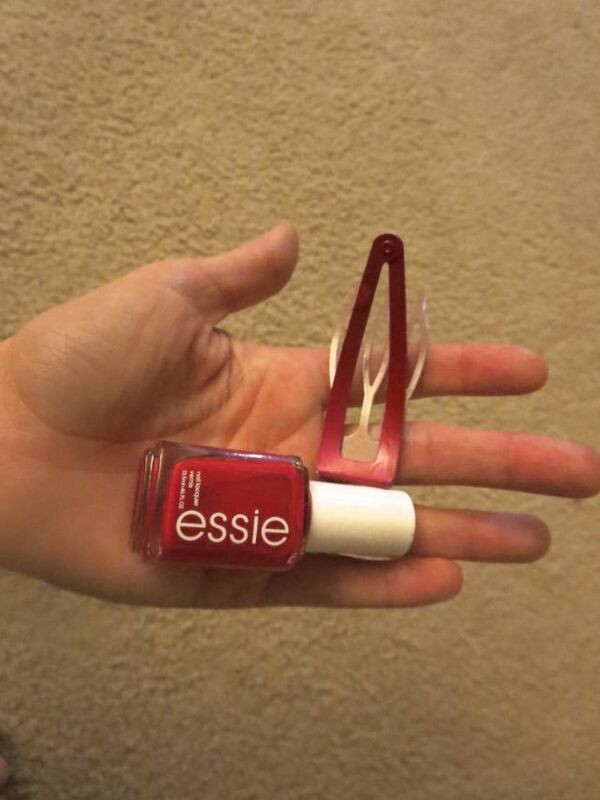 So easy and that cost me zero dollars as I had both an old barrette and red nail polish already on hand. The next two items, the collared dress and the fur coat, I also did not have nor did I want to buy. I did shop around but there were both so expensive! 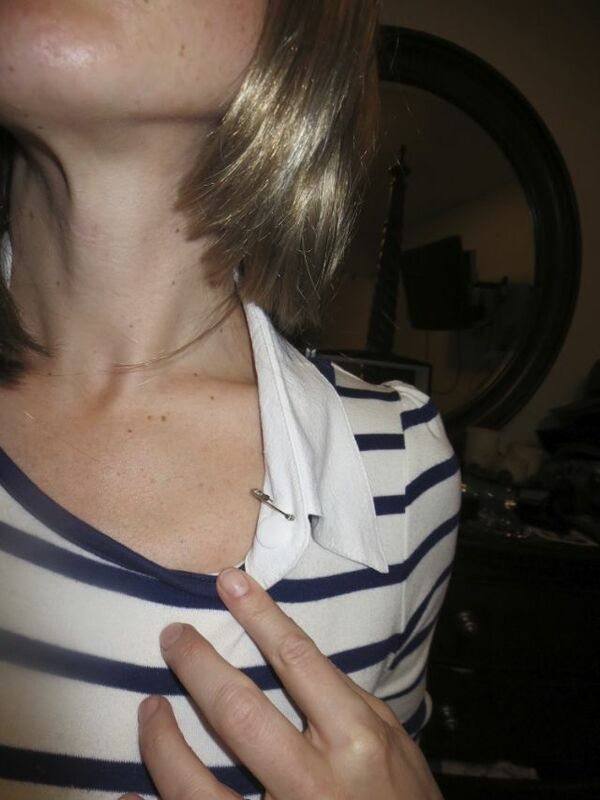 For me the solution was easy, I used a long sleeve stripe dress from Old Navy and bought a collar on Amazon. I believe this was under $5. 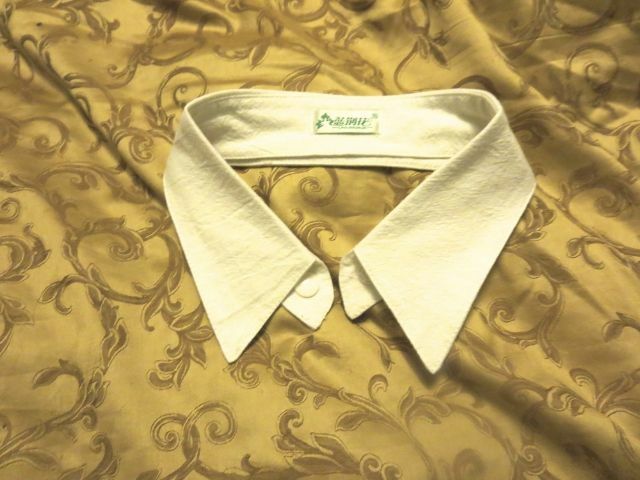 Using bobby pins, I secured the collar in place onto the dresses neck. I wore my brown wool coat because I did not want to buy a faux fur. I did go to goodwill and a few other stores and looked for one that would work, but they were all too pricey for one night of wear. I think my coat worked just fine and I didn't have to spend a dime, as again, I already had this in my closet! The only other two items I bought were ruffle ankle socks and pink gloves. To finish the look off I added my plaid Sole Society flats to make it my own. What do you think? Do you ever tweak the costume and make it your own?